Millie Sullivan was left by her parents when she was four-years-old at Grandmother Joy's home. When they failed to return, she was brought up with lots of love by her grandmother. Now it is her turn to care for her beloved grandmother who is living in an assisted living residence and diagnosed with dementia. Golden Isles is too expensive for Millie to continue to pay for, and in 90 days they must move her grandmother to another location. Where? How will she be able to afford it? The diagnosis not severe enough to warrant government help, so Millie must find a way to pay for the care that is needed. In one of her clearer moments, Grandmother Joy tells Millie about a map and treasure to be found at the Chateau, and Millie is off and running. Can this be the answer to all her hopes and dreams? Handsome, charming, and single, Ben Thompson is working three jobs. His mother is in prison for a scam she committed against twenty-three names on his list. This list leaves Ben with no personal time. Just work and more work. While working security at the Chateau, Ben discovers Millie snooping around in the library. When he threatens to arrest her, Millie tells Ben about a map and secret treasure she is looking for and will share half of it if he works with her. Both Millie and Ben have their reasons to need the extra money. With an instant attraction between them as they race against time to decipher clues left in two diaries, will they find the treasure? Secrets, suspense, family bonds, and love happens on their rocky road to discover what happened ninety years ago when Millie's great-grandmother fell in love during a summer she was an invited guest at the Chateau. Liz Johnson writes a loving story of family, forgiveness, faith, and finding love. Millie and Ben's story is a delicious delight. I was rooting for them from the beginning to the last pages. The ending is special and a surprise. 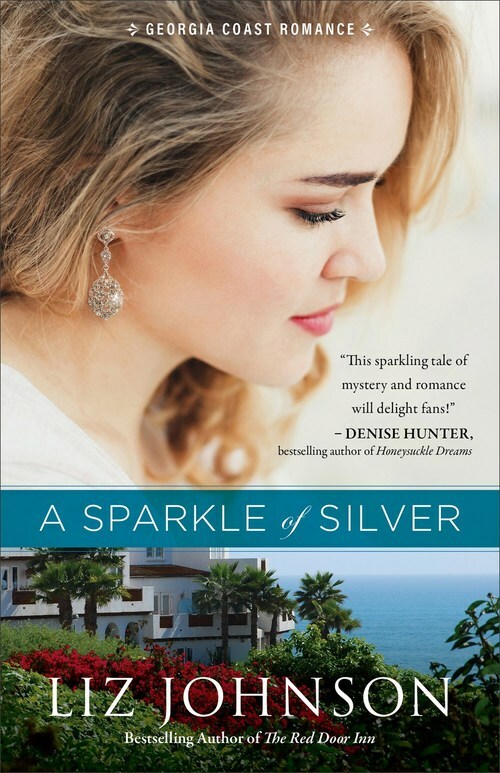 I really loved A SPARKLE OF SILVER and recommend it to everyone who enjoys a romance with humor, a mystery uncovered, and a touch of Christian teachings that add to this sweet tale. It is the first in the delightful Georgia Coast Romance series. I plan to continue with the offerings of Liz Johnson. Bravo! I loved it and want more.